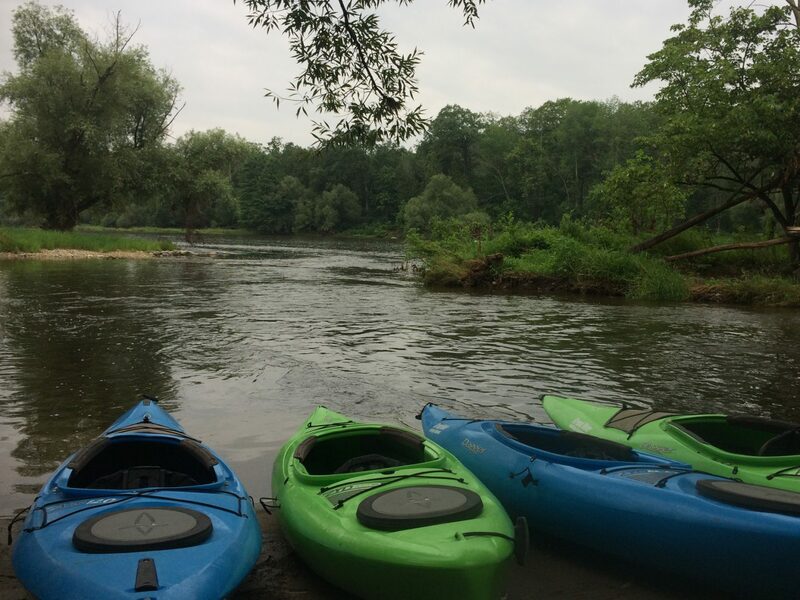 The Grand River Rafting Company offers three different kayak routes to explore on the Grand River. Our kayak trips range from 11 kms to 17 kms. Our kayak routes are in a wilderness setting… with good wildlife viewing. The beauty of the valley is nature unexpected. The Grand River warms up quickly, averages 1 m in depth, moves about 2-3 kms/hr and has shallow rapids on a stony bottom. 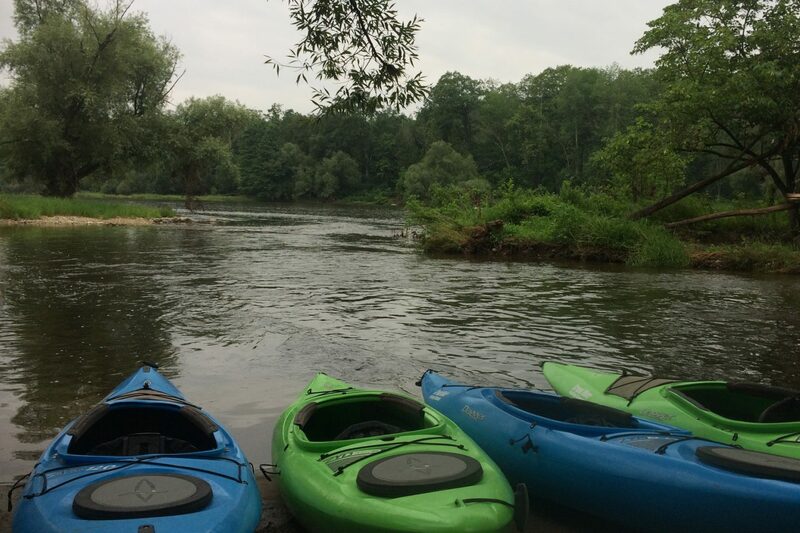 We have you park at the end point… equip everyone with gear and map, then shuttle upstream to the start point. At the start point you get your boat and take as long as you like paddling back to your vehicle. At the end point, our staff helps you off the river.. and you walk 400 m to your vehicle. Easy as that! The Paris to Brant Park is 13 kms… good for all skill levels…Price is $55 per person plus HST… Learn More. With your kayak trip… you can go on your own with a map… or hire an interpretive guide to travel with you down the Grand. To add a guide is $150 plus HST. Basically we look after everything… you just bring yourselves and your lunch. With us, your safety is more important then your money. If water temperatures are below 10 C, we will not put kayaks out, because if the boat tips there is a hypothermia risk. We want you to enjoy your tip… not endure it! There are no stores along the paddling section of the river... so you need to bring your lunches and water with you. We do offer a Blue Canoe special where you can get discounts off your purchases in the town of Paris.